Ingredients: sugar, cocoa butter, whole milk powder, cocoa mass, emulsifier: soy lecithin, natural vanilla (Cocoa solids 33% min; Milk solids 22% min). Allergy information: All our chocolates are made in one environment so may contain traces of nuts. Contains milk & soy. Suitable for vegetarians. Gluten free. 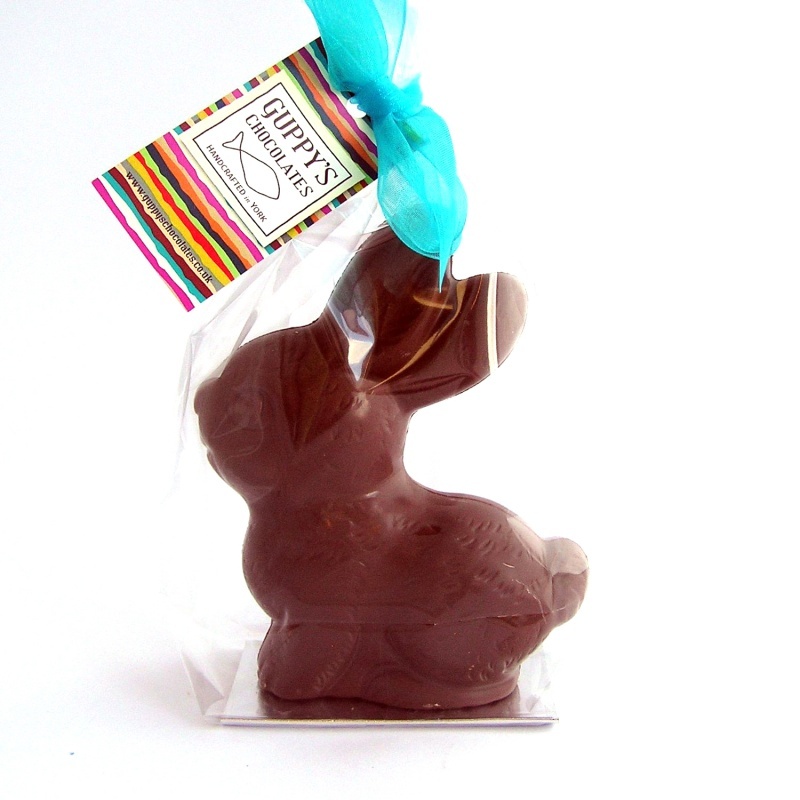 Small chocolate bunny, made from delicious milk chocolate.